Gem City Home Care is an Evolution Health company whose owners and employees live in the community of the people we serve. Our patients are our neighbors and we have a genuine interest in the well being of the people in our service area. As home care industry Registered Nurses and professionals for over 20 years, we understand the importance of earning the trust of our clients and we gain that trust through the personal relationships we nurture with our patients. 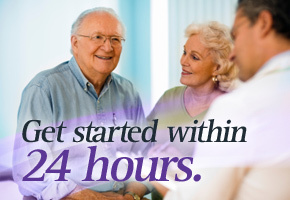 We provide the highest level of care available so that the home care experience is the most positive possible. We are Medicare and Medicaid certified and have received a top rating from regional health officials. For more information on our Patient Outcomes, and to see how we compare to other local home care agencies, visit our survey results page. 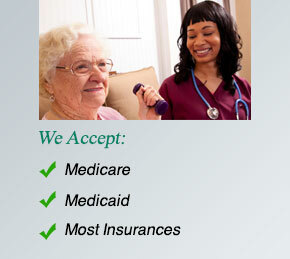 Home Health Line, the leading news source for home health agencies, has further acknowledged us for excellent service. Home Health Line listed Gem City Home Care and Care Connection of Cincinnati as one of their Home Care Elite, a recognition that places them in the top 25% nationwide! With over 30+ years of healthcare experience, the leaders of Gem City Home Care and Care Connection of Cincinnati are committed to upholding the highest standards of care for our patients. (866) 438-7989 for live, personal assistance.